Carry the essence of the moon with you wherever you go with our Crescent Moon Ring with Rainbow Moonstone. The decorative Celtic knotwork frames the horned moon, which has a beautiful iridescent rainbow moonstone at the center. 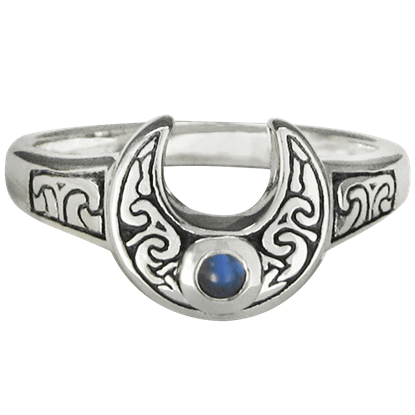 Wear the beauty of the moon with the Crescent Moon with Moonstone Ring on your hand. 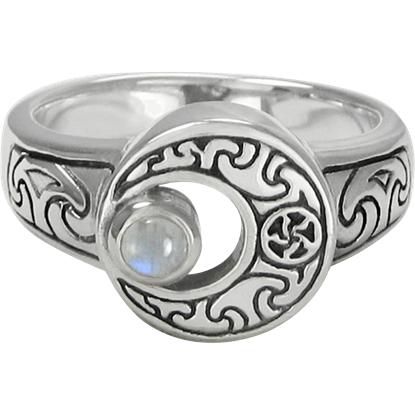 Made of solid sterling silver, this elegant Wiccan ring reveals a rainbow moonstone accent held within the curve of its crescent moon design. Known for its elegance and mystery, the moon is oftentimes the subject of legend and myth. 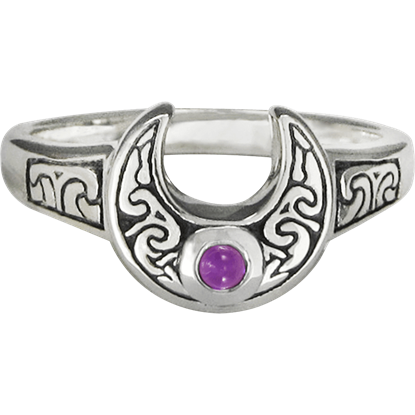 Lunar energy is made corporeal when you have the Horned Moon with Amethyst Ring on hand. 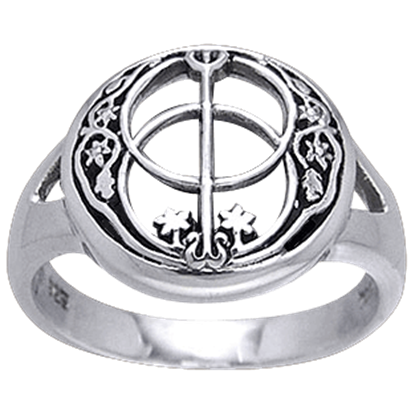 Celtic swirls decorate this sterling silver ring. 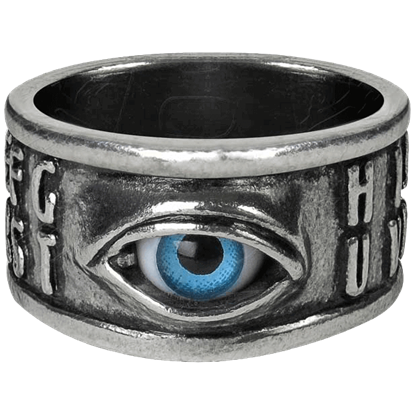 While there is no guarantee that otherworldly communication will occur when wearing the Oija Eye Ring, it lends a mystical touch to your outfit. 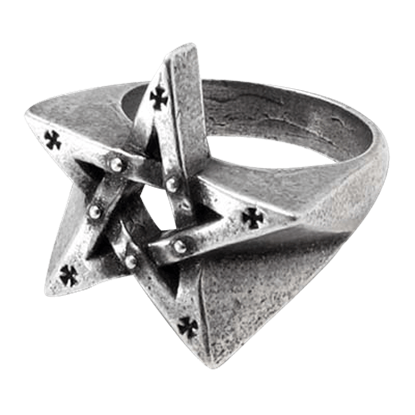 A knack for fortunetelling is not necessary to appreciate the unique style of this ring. The butterfly is a creature of transformation, and so it seems fitting that a ring that transforms your look might bear the butterfly. 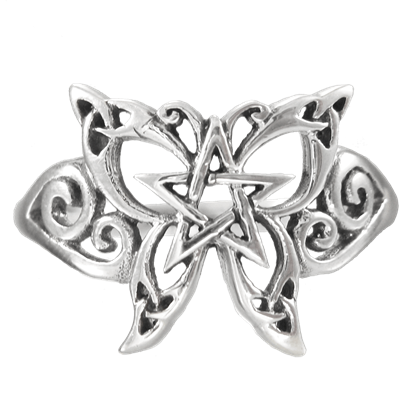 This Silver Butterfly Pentagram Ring will, indeed, change your look with its fine Celtic design. Often viewed as a symbol of peace and spirituality, the Chalice Well was revered by a variety of people and faiths. 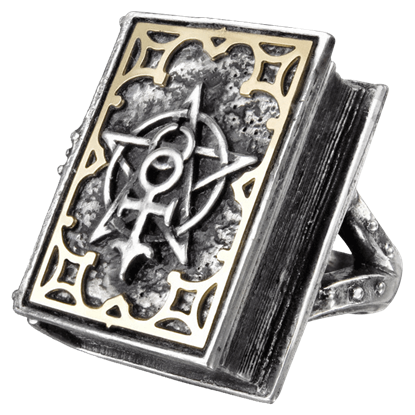 Featured on the Silver Chalice Well Ring, this miraculous symbol can now provide you with style suited for any event! 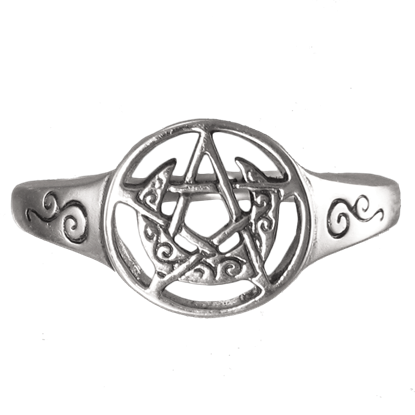 Moon and magic meet in this Silver Crescent Moon Pentacle Ring, creating a pairing of symbols that is both spiritually significant and highly appealing. 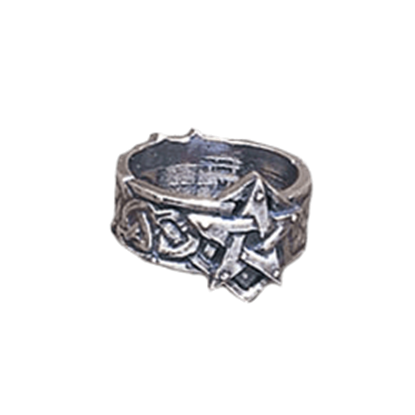 The end result is that this ring features as much allure as the moon itself does. 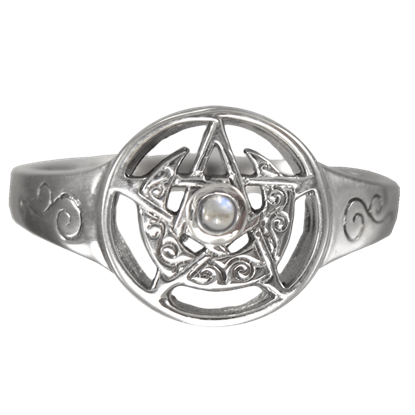 Moon and magic meet in this Silver Crescent Moon Pentacle Ring with Rainbow Moonstone Accent, creating a symbol that is both significant and appealing. 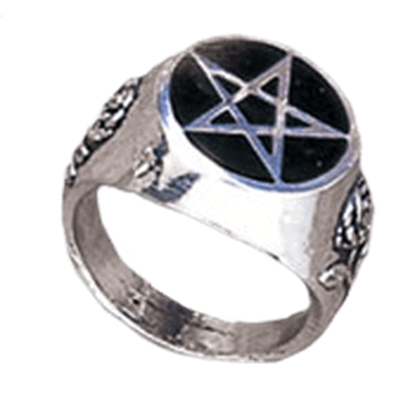 The end result is that this ring features as much allure as the moon does.